Dedicated to the memory of the ‘Spiritman’ Coco Robicheaux. R.I.P. GOLDMINE MAGAZINE - U.S.A. -1982. Do you like heavy duty New Orleans R & B? You like heavy duty Professor Longhair/Champion Jack Dupree style piano? Then ya gotta buy this album, that's all there is to it. 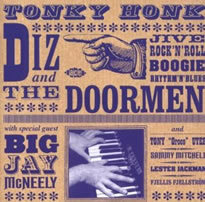 Diz's album is one of the finest New Orleans styled albums I have heard by anybody, regardless of vintage or period. 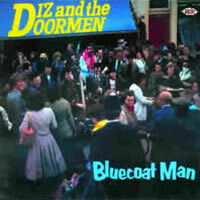 The Doormen, supplemented by plenty of honkin' tenor saxes (Lee Allen, the greatest of them all pops up on about four tracks here) makes this sound like a Saturday afternoon at Cosimo's. Great sound, some really truly spirited performances here and a classic example of Diz's cool boogie woogie style on "Swanee River Jump" (my favourite track along with "You're drivin me crazy" and four or five others!) makes this album you cannot, under any circumstances, live one more moment without. 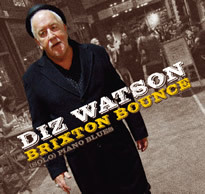 Diz Watson, you're my new hero!!! ACE strikes again! Guest Performances from : Aubrey Bryan - Steel Pan. Kemis - Conga. Geraint Watkins - Bones. Charlie Hart - Accordion. Lance Eliington - Trombone. Recorded at Chalk Farm Studios, London. In 1984 I cut a session with legendary Big Jay McNeely, who topped the Billboard charts with 'Deacon’s Hop' and also had a hit with 'Something On Your Mind'. I was really fortunate to track him down in Europe to play on this album. He inspired the title track, 'Tonky Honk', which goes out to all the people who helped me along this road.